Joining me today is Francesa Moi. Know as The Meetup Queen, Francesca is an author, Certified Speaking Professional and coach, and I help successful business owners with a “time-for-money” one-to-one model, BOOM their business through social media and super-new marketing strategies to have fully booked workshops and events. How would you define a Superfan? How to identify whom your Superfan is? 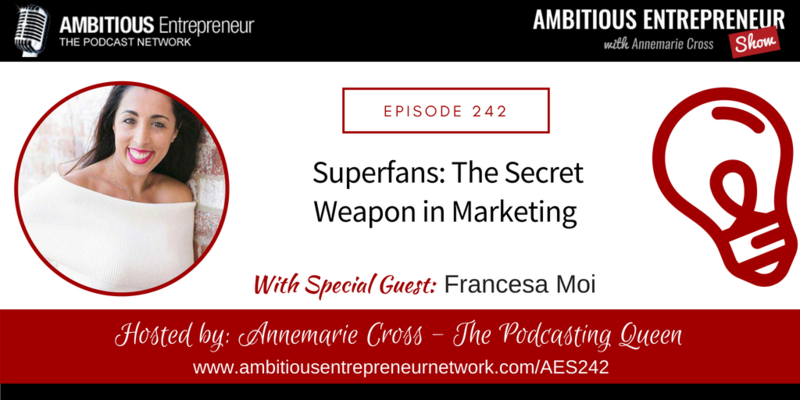 How to communicate and deepen engagement with your Superfan? What assets/loyalty programs etc can we create in order to create an experience and/or environment where our Superfan WANTS to hang out with us?